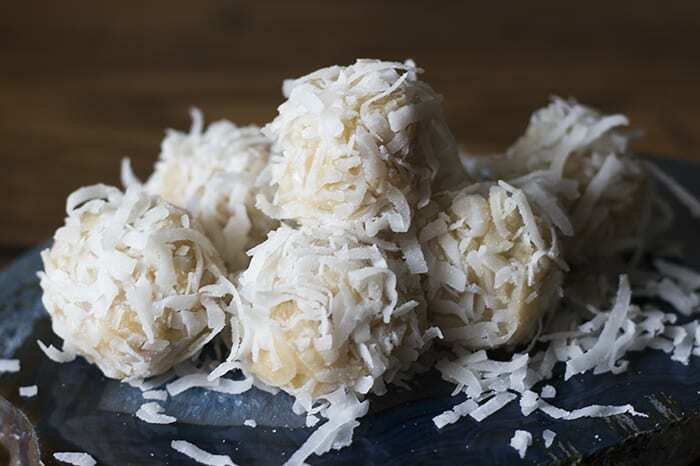 In honor of the polar vortex I’ve cooked up a recipe for coconut snowball bites. 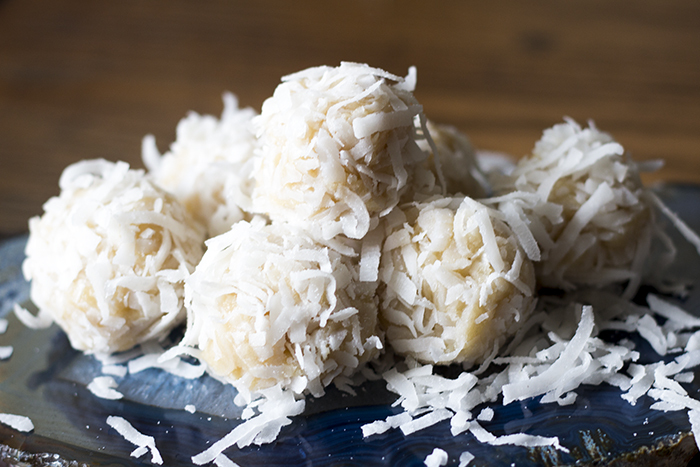 However, unlike the polar vortex, these snowballs will leave you wanting more. This recipe was inspired by my good friend who hosts a pop-up restaurant each week with clean dinners. They consist of home cooked meals with no GMOs, chemicals, additives, preservatives, gluten or major allergins. After I tried her amazing desserts I wanted to explore more rawesome and healthier options. 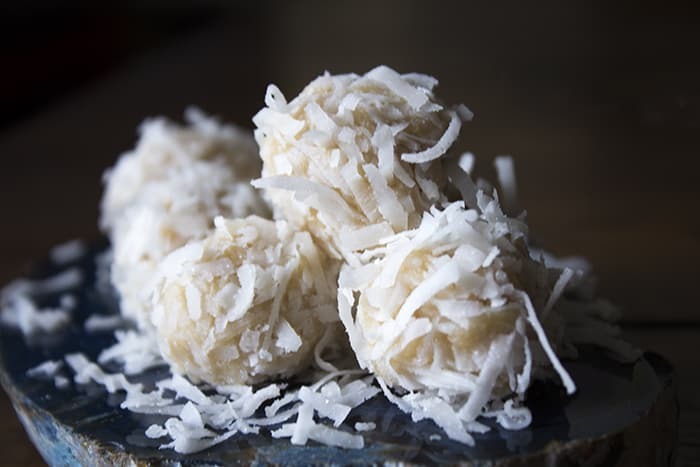 These bad boys are gluten-free, nut-free, vegan, and the best part is they can be made in five minutes without any cooking. Have some fun with the recipe and change them up by adding berries in the center or chocolate chips. This is a recipe the kids can definitely help you with too. 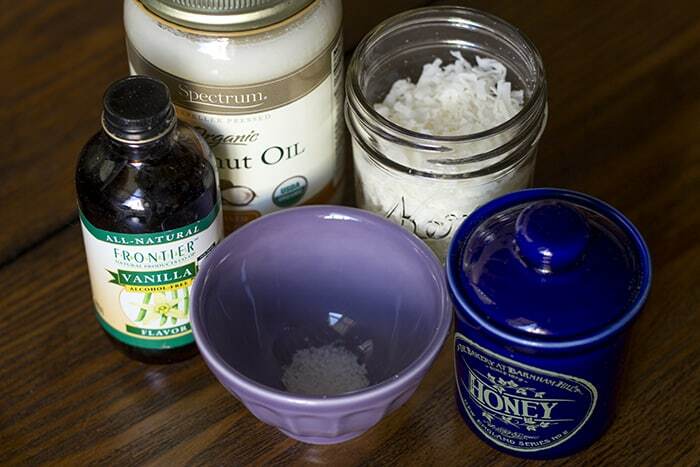 Mix together all your ingredients in a food processor or blender. 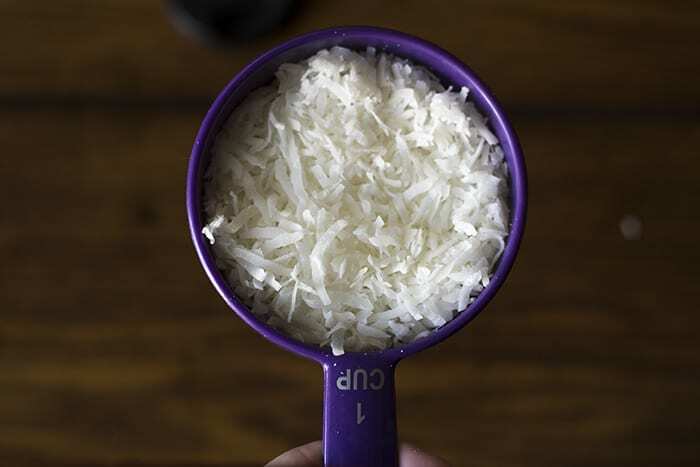 I blended the ingredients until they were pretty creamy, but if you prefer more texture, you don’t have to blend them for as long. 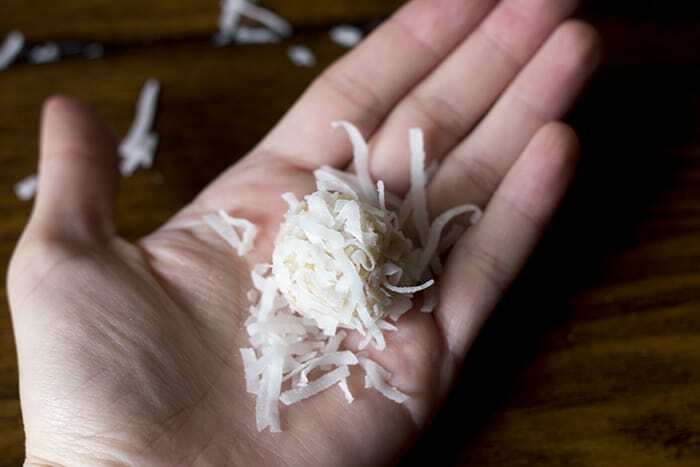 Form 1-inch balls by rolling mixture in your hands, and then roll the coconut balls through the remaining coconut shavings. Place on wax paper and chill for at least an hour in the fridge. Take them out and enjoy! While you’re at it, you can whip up No-Bake Easter Nest Cookies. 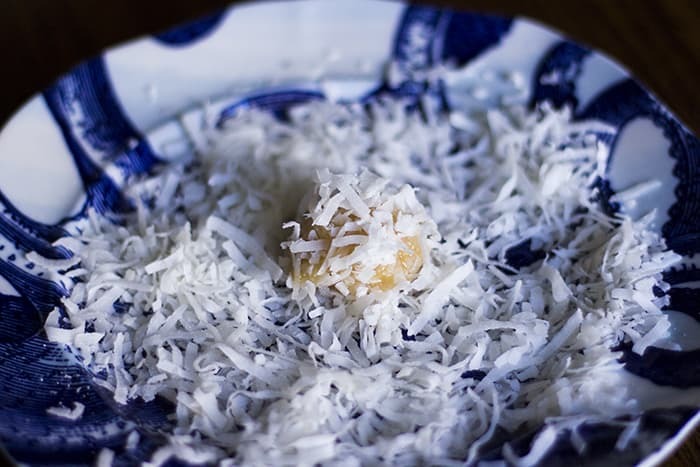 Did you use coconut from the freezer section (that’s kind of wet), or the kind you find on the shelf in the baking aisle? The one from the baking aisle. If you make them we’d love to see a photo! You can share a photo with us on our Facebook, Twitter, and Pinterest.